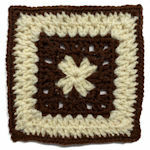 Peek-A-Boo Square -- $1.99 A Crochet pattern from Julie A Bolduc. 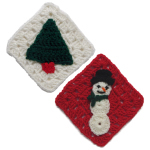 This square has a little peek hole in the center of it and also the white yarn on the last round peeks through the red yarn. 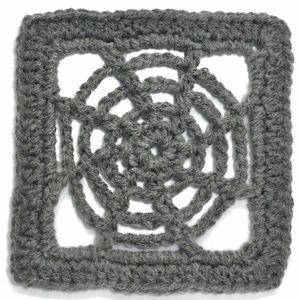 So I could not think of a better name. 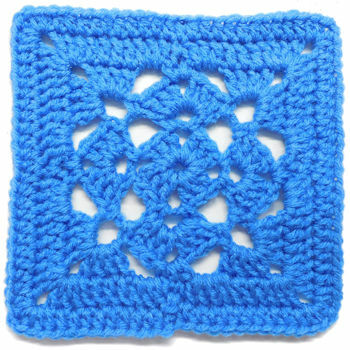 Imagine this square done in green white and red or 2 shades of blue with white for the December holidays.